As indicated by its name, this is a large white swan with a black neck. A red knob or carbuncle at the base of the upper mandible is enlarged in males at breeding season. The black-necked swan has short wings, but still is a fast flyer. They are herbivores and feed mainly on aquatic plants. They have a lifespan ranging between 10 to 30 years. They can be found in the southern portion of South America, including the Falkland Islands. 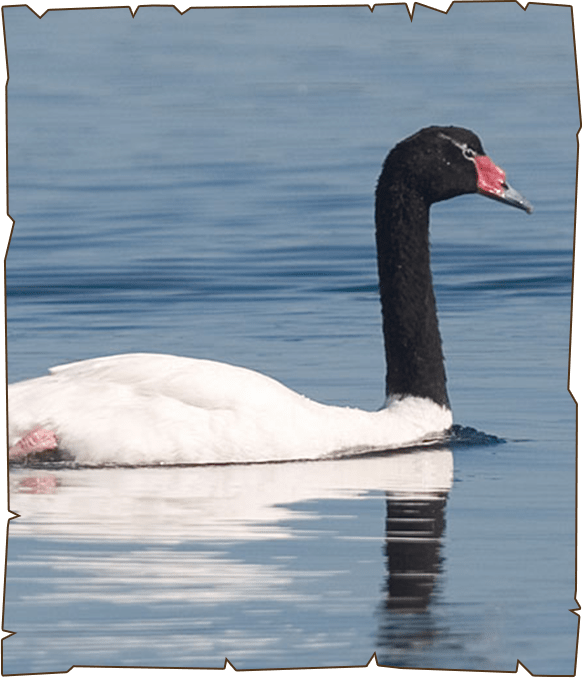 The Black-Necked swan inhibits Swamps, freshwater marshes, brackish lagoons and shallow lakes.